Why should I join Advekit? The short answer: modern, fresh, simple. We aren’t a directory listing, and we don’t want you listed on page 15 of a tedious online white page search. We have a sleek and straight forward approach, showing prospective clients 3 best suited therapist referrals that meet their needs. How do prospective clients find out about Advekit? We have a multi-faceted approach of marketing Advekit to prospective clients. Our online presence generates the largest amount of leads: Google Adwords, Facebook & Instagram Campaigns, Influencer posts, online bloggers, etc. Check out our press page for more. *What’s unique about Advekit is that we are on foot all over Southern CA, passing out materials to local businesses, schools, gyms, and medical offices, spreading the word that Advekit is a free & easy resource for people to get the help they deserve. While we generally have a 95% renewal rate from our therapists month-over-month, you can absolutely cancel at any time and will not be charged on your next cycle. No tricks or hidden agreements! How do I start my profile? You can build your profile autonomously within 5-10 minutes. You can always edit or change information from your dashboard at any time. Click here to start your profile. How will I know if a prospective client contacts me through Advekit? Our system will track your messages and phone call analytics. 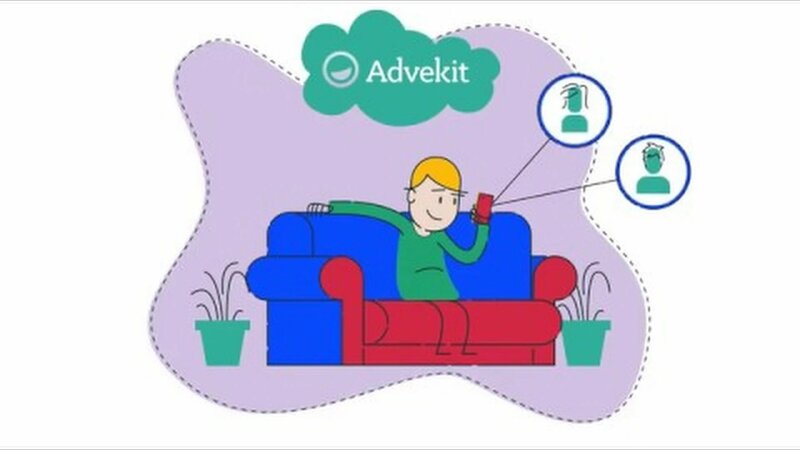 You will receive an email when an Advekit user is getting in touch with you.